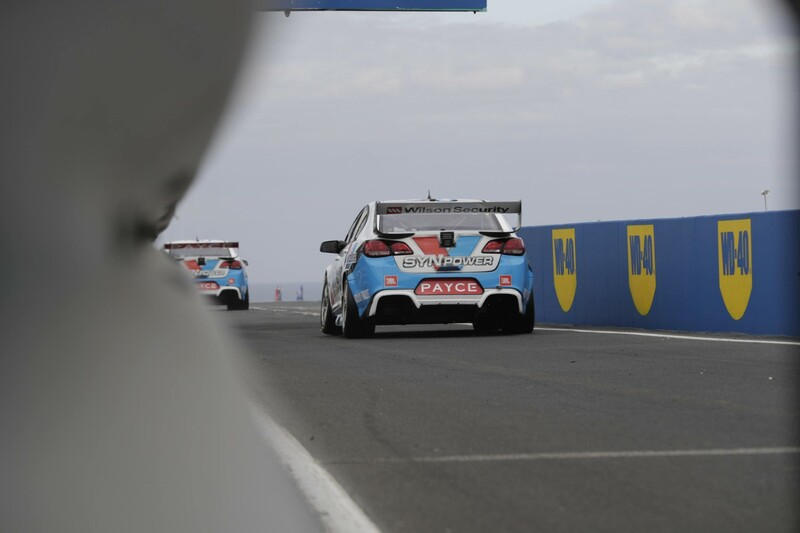 Garry Rogers Motorsport drivers Garth Tander and James Moffat sit sixth and 10th respectively in the championship but the team remains on the hunt for outright speed after a mixed performance at the WD-40 Phillip Island 500. Garth Tander scored third place in Saturday’s race - the squad's first podium since its forced switch from Volvo to Holden over the off-season - while James Moffat was fourth on Sunday. Despite the impressive results, GRM director Barry Rogers insists the team is far from happy with its outright speed after James Moffat’s 16th place qualifying position on Saturday was the team’s highest of the weekend. “From a team’s perspective it was pleasing. From a sheer car speed point of view, it was disappointing. “It brings back to light the importance of the team aspect. “The focus is on the drivers, but from the team perspective, our engineers, our pit crew, the job they did to get our boys from qualifying positions in the 20s to a podium and fourth and seventh is pretty special. Rogers explained the switch to Holden and the lack of setup data of the package after running Volvo S60s for the previous three seasons was going to hurt them at a circuit like Phillip Island more than others. “We were conservative in the setup,” he added. “Part of it would have been our conservatism, but a big part of that is a lack of data. “There always is a difference between qualifying speed and race speed. We’re always confident we can have a good race car. “In a sprint round where there is 120 kays or 200 kays on the Sunday you don’t quite get the opportunity to maximise a good race car. You need a good car full stop. “The 250 kilometre races worked to our advantage. Although qualifying wasn’t where we want to be, we were fairly confident over that race period, we would be able to (improve). “We were confident we had top-10 cars over the race distance. “We thought we went there with a car that would be okay, but we put it on the track on Friday and we were nowhere. After a tight off-season build and short turnarounds between races, Rogers explained the team is using what time is available to now narrow down on improving the performance of the Commodore package. “Every race meeting we’re learning something. We wouldn’t make any big predictions, but I’d like to think in qualifying we’d be close to the top-10 area,” he added. “We were very pleased after Phillip Island to come back with four straight cars (including its two Dunlop Super2 Series entries).